Here in Ashford most of the work couldn’t be seen, but the garage had damp in it, so we had to dig out a trench, paint sealant onto the walls of the garage and then back fill the area with shingle so that any water would drain away and the garage walls didn’t let the water through. 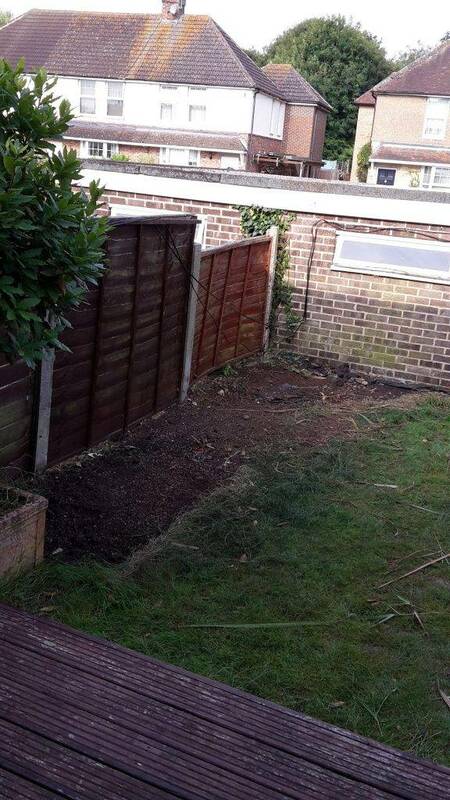 Then it became clear that the fence the client was hoping didn’t need replacing did. 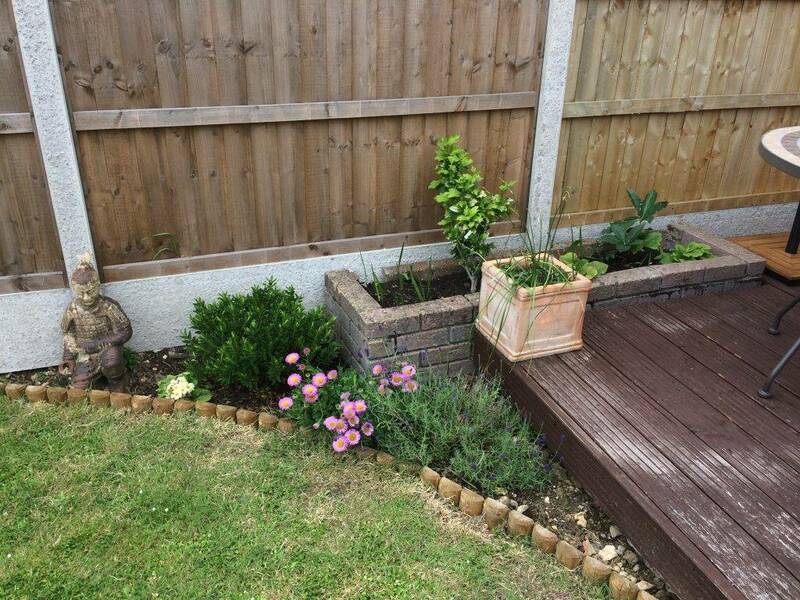 Then we carried on with the plan, trellising, paving, formal bed construction and planting. It was great to really get into some wildlife friendly planting. 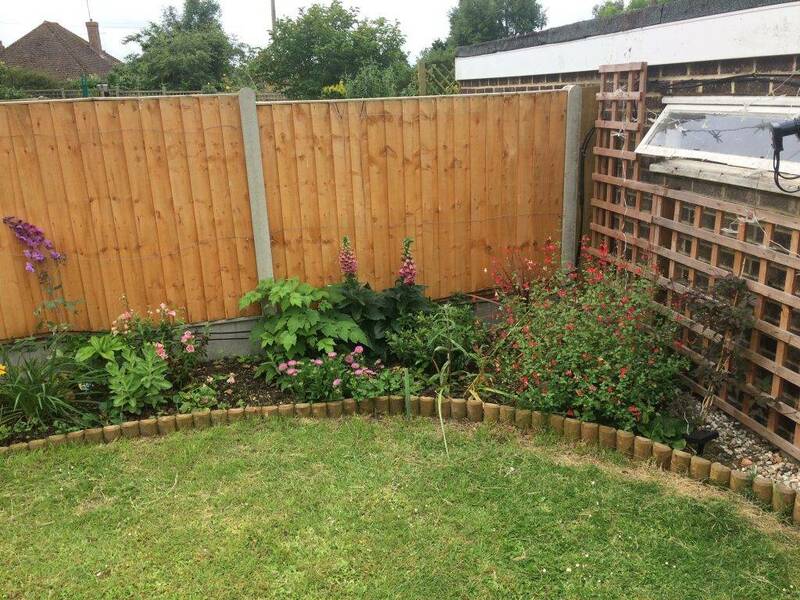 We included clematis, honeysuckle, climbing roses, hebes, anemones, salvias, foxgloves, lavenders, passiflora and bulbs such as bluebells and daffodils. It was great to go back this year and not only add to the planting but great to see the growth of last years plants.